Ambrosia Fruit Salad: a simple and delicious fruit salad that is combined with sweet whipped topping and sprinkled with shredded coconut. Great for large gatherings, picnics and more! I don’t know about you but anytime we have a large family gathering, holiday party, or picnic there is always some form of a fruit salad or jello dish to pass around. Some of our favorites include Pistachio Pudding, Creamsicle Fluff, Cherry Coke Jello Salad (which my husband loves) or one of my personal favorites Strawberry Raspberry Pretzel Jello salad. They make the menu feel complete and are more often than not very budget friendly because they feed a small crowd for very little expense. This ambrosia fruit salad is just as simple to put together and has a delicious tropical taste which is perfect for the Spring and Summer months, but can of course be enjoyed all year round! What ingredients do I need to make Ambrosia Fruit Salad? 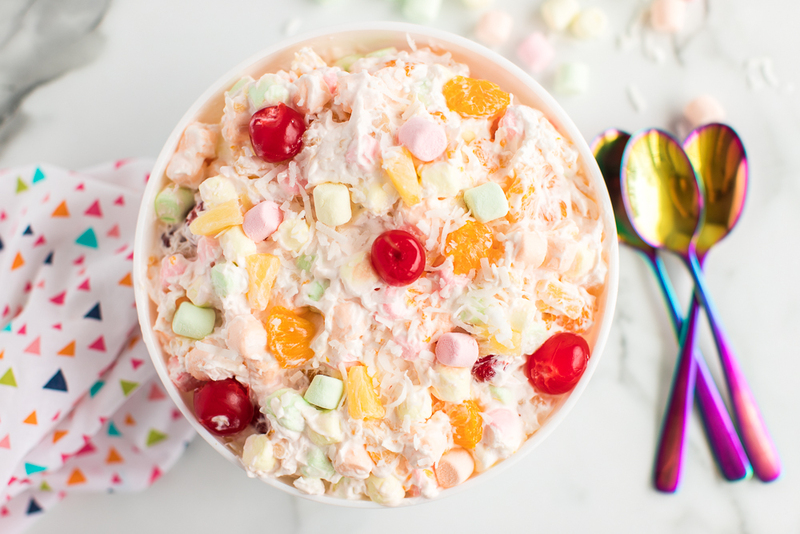 You only need a few simple ingredients to make this classic ambrosia salad and you can swap out ingredients that you or your family don’t like! 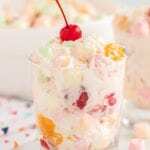 How to make Ambrosia Salad? 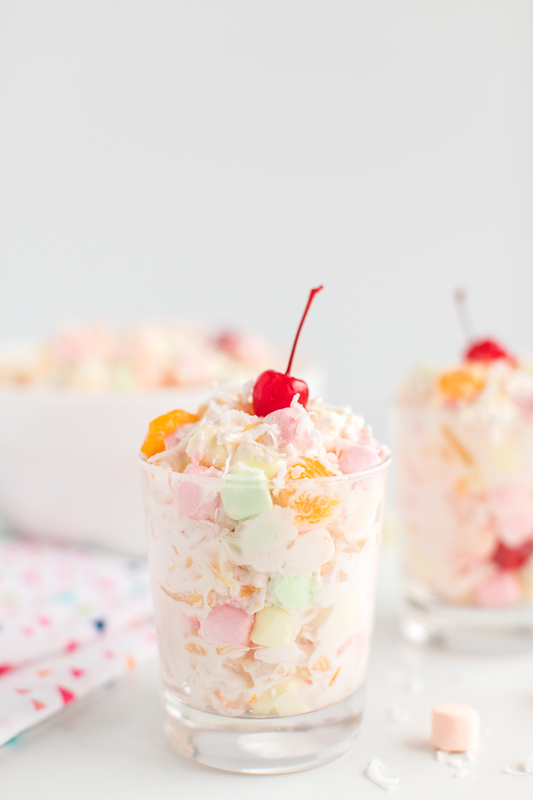 This ambrosia salad couldn’t be easier! You can use one bowl from start to finish which means less mess in the kitchen! In a large bowl whisk together sour cream and frozen whipped topping until well combined. 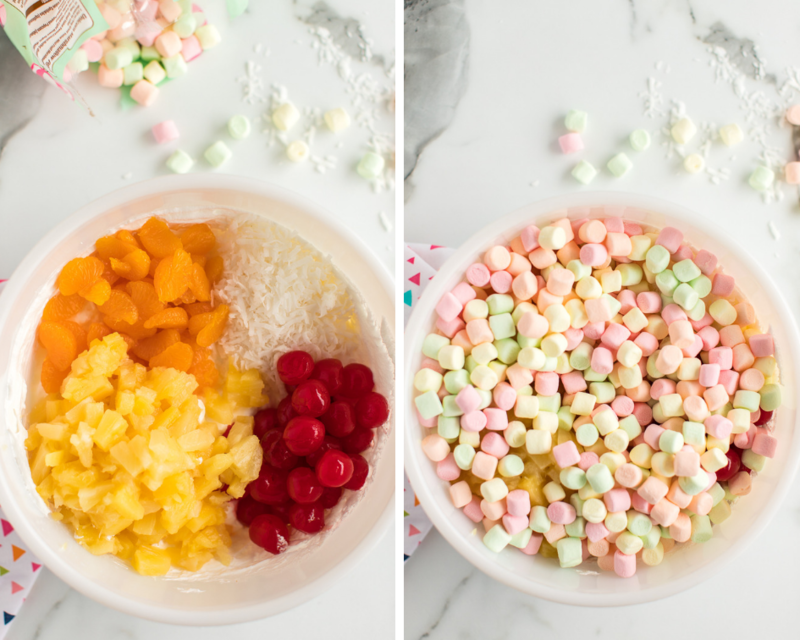 Fold remaining fruit ingredients and mini marshmallows into whipped topping. Chill before serving. Top with a bit of shredded coconut and cherry. 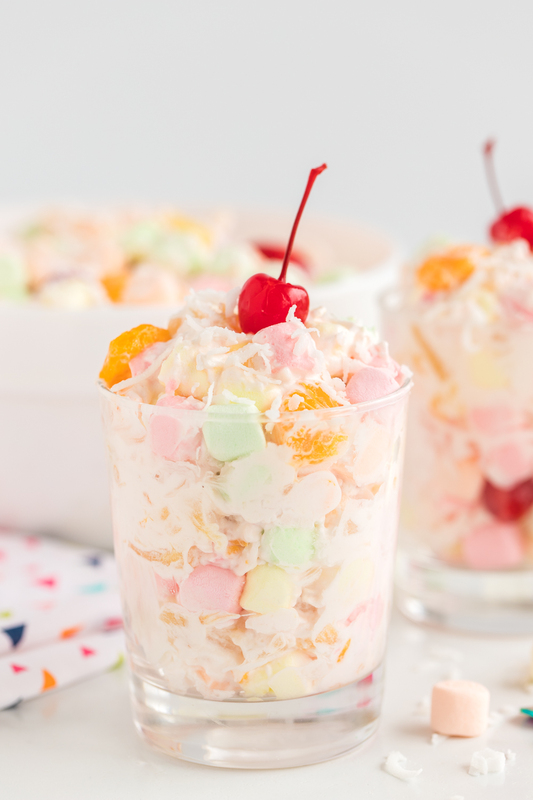 How long does Ambrosia salad last in the refrigerator? In a large bowl whisk together thawed CoolWhip and sour cream until well combined. Top with sweetened shredded coconut and a few maraschino cherries right before serving. Enjoy! 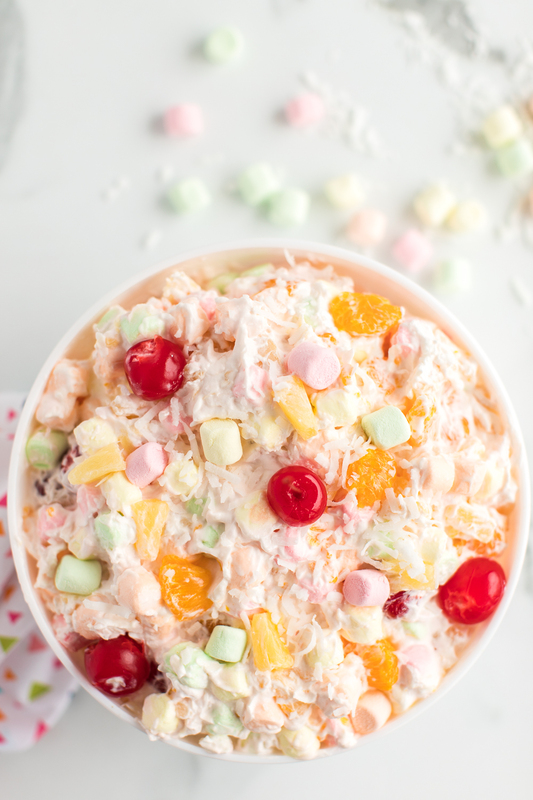 It’s not Easter without Ambrosia Salad!! Fabulous recipe!! This is so colorful and fun…easy too! I loved it! So fun and festive!! The perfect potluck salad. We love this dish! I love how easy this is! It’s a great addition to any meal.